At last Wednesday's meeting we had 16 Members, 2 guests: Ron Suzuki and Ted McCormac as well as a group of Rotaractors. Frances recited the 4 way test. The Rotary moment today was about the breakfast at the Strathcona community centre and what a great sense of community and solidarity it provides. 1) Hoop a Thon. Gary Chomyn already sent each of us the first pledge email, make sure you send it to your friends, coworkers, etc. Click Hoopathon.ca to go to our page. 2) Hoops & Hops - Practice shooting for Hoop-a-thon Basketball teams on Wed, May 18, 7:30 pm at Strathcona Community Centre followed by Beer at the Union Pub. Everyone welcome! Guest Speakers - Today we had a group of Rotaractors who attended the RYLA program in the Sunshine Coast recently. The Rotary Youth Leadership Awards (RYLA) is Rotary’s leadership training and personal development program for young people. Youth leaders from across the province are sponsored by a participating Rotary club to attend a RYLA camp as an “award” for their demonstrated leadership and service to their community. Those who are selected to attend RYLA will learn valuable leadership and career skills, build self-confidence, discuss current ethical and social issues and meet active community leaders – all while having a ton of fun! 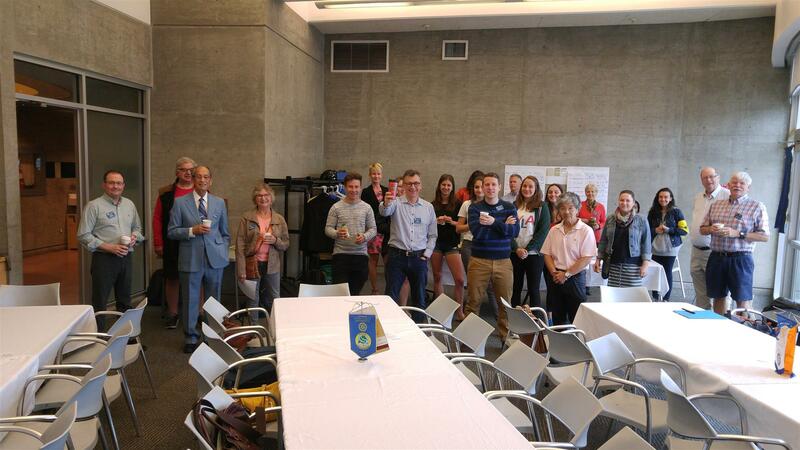 Rotary International District 5040 (British Columbia, Canada) Rotary Youth Leadership Awards have become one of the most impactful and enriching programs of Rotary service for young people. Over 150 youth leaders from communities across the province attend the annual RYLA camps.